Studies have confirmed what fitness enthusiasts have always known–listening to music helps you work out harder and improves your endurance. There’s just one problem–how do you make sure listening to music doesn’t get in the way of your workout? After all, you don’t want to end up tangled up in cords from sports headphones or have to keep stopping what you’re doing to change songs or adjust the volume when you’re using workout headphones. Fortunately, there is a way that you can sweat to the beat without any of the hassles that come with wearing ordinary sport headphones and running headphones! 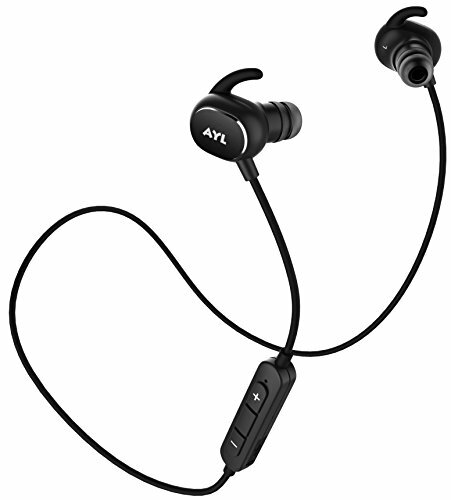 The AYL AX8 Bluetooth headphones are the latest breakthrough in wireless earbuds. 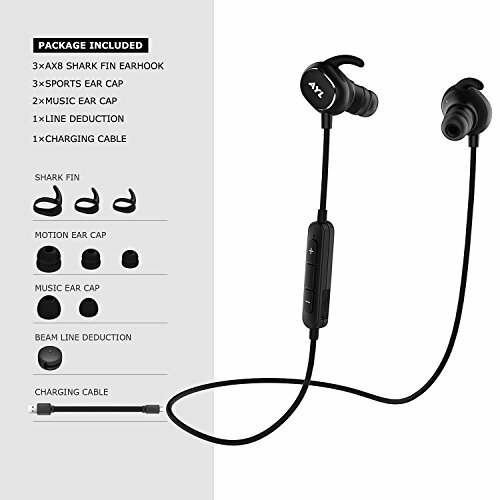 Capable of pairing with any Bluetooth enabled device from up to 10 meters away, these wireless Bluetooth earbuds feature Bluetooth 4.1 + EDR APT-X audio decode technology. 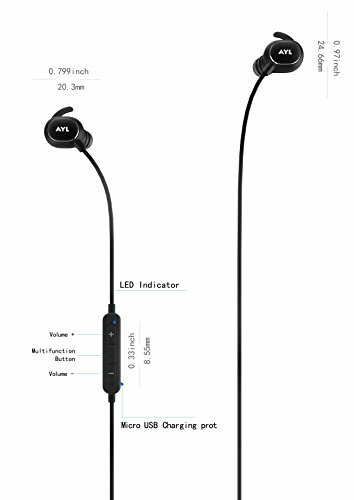 As a result, the Bluetooth earbuds wireless signal is stronger and clearer than what’s ever been possible with Bluetooth earbuds before. You’ll hear the difference immediately! 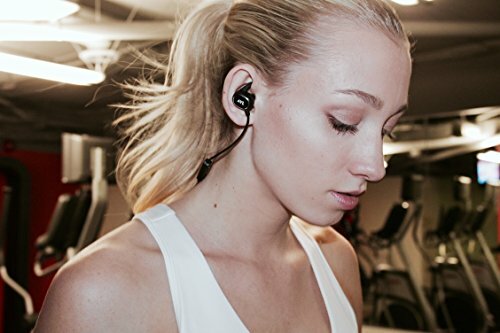 Unlike ordinary Bluetooth earbuds for running and workouts, the AX8 can stream music and answer calls with two devices at once! 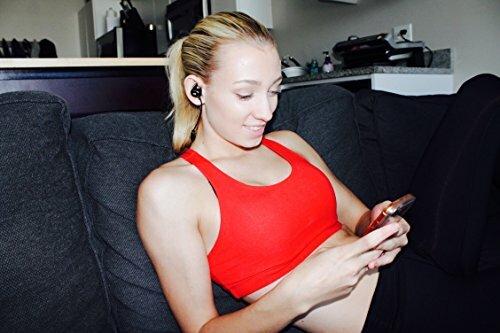 Use them as Bluetooth headphones for an iPhone 7 phone and an Android tablet or as Bluetooth Headset wireless earbuds for an iPod Touch and a Samsung Galaxy S7. Lighweight, sweat Proof, comfortable. The possibilities are truly endless. With the AX8 Bluetooth Headset, running, gym workouts and sports training will be easier and more convenient than ever before. 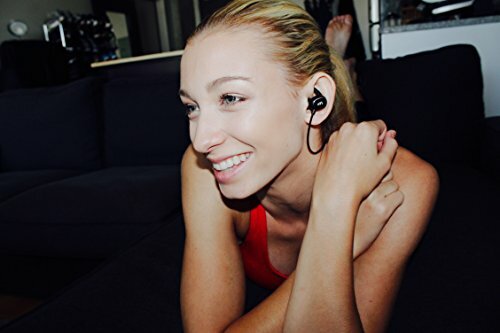 Lightweight and sweat proof, the earbuds provide up to 7 hours of talk and listening time on just one charge, so you can sweat on and on and on…!